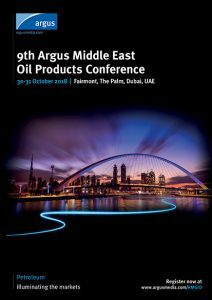 DHD have produced the 9th Argus Middle East Oil Products Conference delegate brochure. 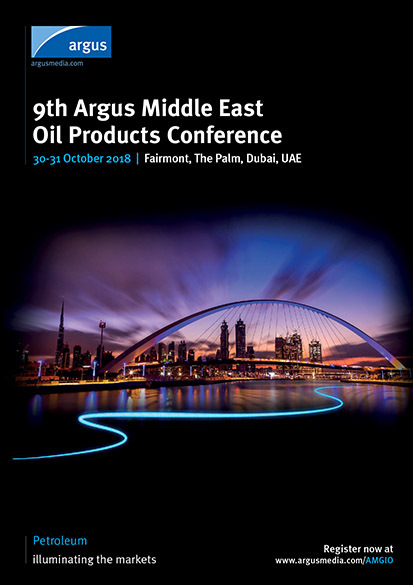 The event takes place on the 30-31 October 2018 at Fairmont, The Palm, Dubai, UAE. The Middle East continues to have a significant impact on the refined products markets in Asia-Pacific and globally, as supply and demand evolves rapidly and refinery economics respond to the impending introduction of the new IMO 2020 sulphur cap on marine fuels. Join industry experts in Dubai to address these pressing issues and discover how to manage changing market dynamics. • Setting the scene for the Middle East refining market: updates from ADNOC’s Ruwais developments, KNPC’s Clean Fuels Project, the Duqm Refinery in Oman and others. • East Africa oil products market: trading and the tendering process in Kenya, Tanzania, Uganda developments, challenges and opportunities in the region.